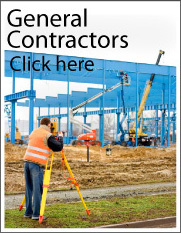 Called ‘geometric’ in Canada and much of Europe, Land Surveying is the Worlds second oldest profession. The American Congress on Surveying and Mapping (ACSM) describes land surveying as the science and art of making all essential measurements to determine the relative position of points and/or physical and cultural details above, on, or beneath the surface of the Earth, and to depict them in a usable form, or to establish the position of points and/or details. Peak Surveys, Inc. has been conducting all types of land surveys for over thirty years. We assist developers, graders, architects, real estate companies and individuals with physical monumentation, measuring and mapping. We have helped in the process of constructing everything from a single-family dwellings to high rises and megamalls. Land Surveys come in various forms. Please review the descriptions below to see which is right for you. You may request a free proposal by simply emailing your request to bids@peakinc.com. 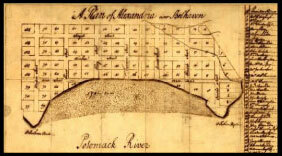 A survey made for the purpose of locating the corners, boundary lines and/or easements of a given parcel of land. This involves record and field research, measurements, and computations to establish boundary lines in conformance with the Professional Land Surveyors Act. The subdivision of a tract of land into smaller parcels, showing ornamentation and survey data on a map, in conformance with local ordinances and the Subdivision Map Act. Analysis of various legal descriptions and survey maps; field locating of record, existing monuments, and physical features; and mapping showing this information for the purpose of presenting a visual exhibit to be used in a courtroom.